Transit takes place beyond our home planet, allowing you to traverse the unlimited depths of space and explore worlds outside our own galaxy. Science reigns supreme and provides the foundation by which exploration occurs, but it cannot answer all of life’s questions. Your role as an Artificial Intelligence is to inhabit an interplanetary vessel, manage your resources, and direct your crew in pursuit of your mission objectives. You’ll deploy your ship’s officers into the field, hunt down criminals, engage in interstellar combat, deliver supplies and colonists to remote settlements, and discover strange new worlds. As an AI, you must rely on your resources to complete missions by acting through your ship, tech, and crew. 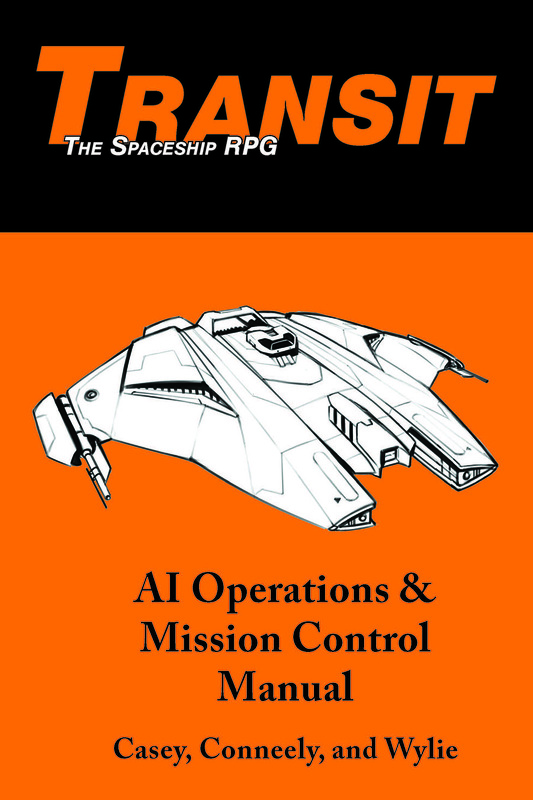 The three different AI types – Combat, Command, and Support – lend themselves to varied and interesting game play, but it’s when an AI is paired with a ship that the real diversity in character creation comes to the fore. You’ll not only choose your ship type but also its weapons, defenses, and the modifications that will make it unique even among its own class. Once you’ve got your lasers locked and loaded, Transit goes on to be more than just an intergalactic skirmish game. Your crew, like your ship, is an asset, ready for you to use to accomplish your mission objectives. When your interests and those of your crew are aligned, things can go very well, but where you and your crew come into conflict, they turn from asset to liability. They will thwart you and may even try to destroy you. They’ll think you’re insane, an AI run rampant, but you’re just trying to survive and complete your mission. How did it come to this? What do you do next? As an AI, your problems don’t stop at resource allocation, but expand weirdly, emotionally, illogically, as you try to weigh the competing interests of biologics against your mission priorities. You are the hero. You are the monster. You are the glorious leader. You are the soulless tormentor. Just how far will you go to complete your mission? Whatever your goals might be in Transit, the fact is that you’re operating at the edge of known existence. You may have a planet or station you tenuously call home, but the vastness of space remains largely uncharted, holding dangers heretofore unknown. Your missions will often take you to systems nobody has ever heard of, to meet alien species that aren’t catalogued in any database, and to encounter threats that no sentient being has ever conceived of. Exploration and discovery of an ever-expanding Universe is vital to Transit. Of course, the void is a dangerous place for a lone ship, so if you have any luck at all you’ll find yourself traveling between systems in the company of a fleet. From Combat to Support, from battleships to science vessels, the types of AI and ships in your fleet will determine what you as a group can do and help shape the story you write in the stars. Welcome to the world of Transit.